In Book 8 of The Republic (Πολιτεία) Plato discusses the reasons that democracy leads to tyranny, and in Book 9 describes the evolution and character of the tyrannical man. Minsky selected this quote and adapted an English translation from several sources. Printed in Greek on the Kelmscott-Goudy Albion handpress at the RIT Cary Graphic Arts Collection. A copy of the translation comes with each print. An experimental laser engraved plywood printing plate was made with words in several fonts and sizes to see how fine the lines could get before breaking down. Printed on the Kelmscott-Goudy Albion handpress at the RIT Cary Graphic Arts Collection. Reification of a fictional pamphlet in It Can't Happen Here by Sinclair Lewis (1935) printed on the Kelmscott-Goudy Albion handpress at the RIT Cary Graphic Arts Collection. At the turn of the 20th century Amelia Barr was among the post popular and prolific authors in America. 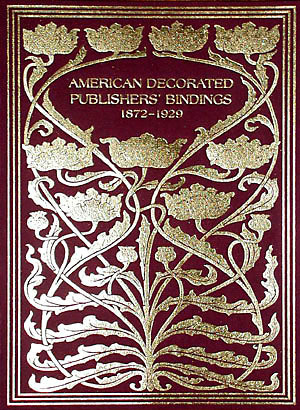 Some of the best examples of Eastlake style bindings are on her early books, and the many editions of her seventy books include covers by Amy Richards, Blanche McManus Mansfield, Thomas Watson Ball, William Snelling Hadaway, Harry B. Matthews, Alice Cordelia Morse, and Theodore Brown Hapgood. This volume goes beyond the scope of previous catalogs in the series with a focus on Barr's life and her role in the history of authorship, reading and publishing. The exhibition includes an original manuscript of a novel, magazine articles, short stories and serialized novels as well as first editions, uniform editions and pocket format hardcover editions of her books. The catalog illustrations are accompanied by relevant excerpts from Amelia Barr's autobiography, which reveal details of the evolution of the texts, how writing fit into her life, her relationships with publishers, how much she was paid, and letters she received from readers. and one copy bound to a musical chair. Click here for more information, images, and ordering. Cover artists include Margaret Armstrong, Frank Hazenplug, the Decorative Designers, Thomas Watson Ball, Angel de Cora, Bright Eyes, and many others. With the illustrators and dust jacket designers, a total of 87 identified artists are in the exhibition. 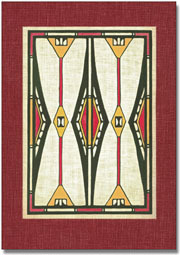 In addition to Tribal art, the covers include examples of design from late Victorian through Eastlake, Arts & Crafts, Art Nouveau, Poster style, and Art Deco. There are decorative, symbolic, and pictorial covers depicting cultures from the Arctic to South America, and times from prehistoric to the early 20th century. It includes captivity narratives, autobiographies, frauds, ethnographic works, myths, travelogues, propaganda, songs, dance, romance novels, and juvenile fiction. If you would like to see a few pages from it, you can LOOK INSIDE! (PDF). Through book cover art we see a broad view of the relationships between idigenous and immigrant Americans. Click the cover for more information. The story of the concept and creation of Pop Delusions: A House of Cards. This work from start to finish was presented on facebook as a series of updates while the construction evolved. 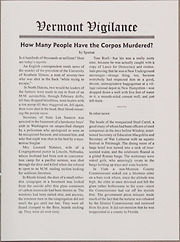 The texts of these posts, which took place from March 1 through May 1, 2012, are presented along with full color images printed from the original photo files. Available in Softcover, Hardcover, and Deluxe editions. 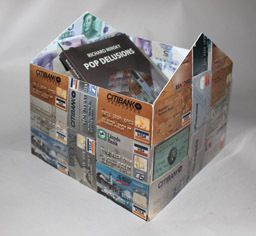 The Hardcover Edition of 25 copies has a printed sculptural "House of Cards" enclosure the same size as the original Pop Delusions (9"x9"x9") and is made from photographs by Minsky of the original Pop Delusions House of Cards. The Deluxe edition includes a wood base covers in US$10 bills, similar to the original work, a copy of Charles Mackay's Extraordinary Popular Delusions and the Madness of Crowds, and a Minsky credit card. 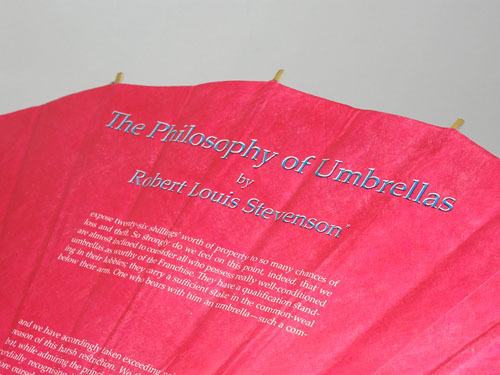 All editions include a piece of Chinese paper money as a bookmark. 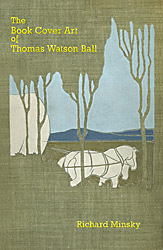 Thomas Watson Ball was one of the major Modernist book cover designers during the period 1897–1905. 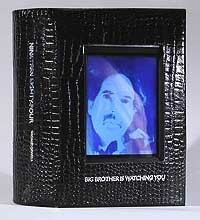 This is the catalog of the first exhibition devoted exclusiely to his book cover art. Two editions are available, a softcover Limited Edition and a hardcover Deluxe Edition. Published by George Braziller, Inc., 2011.
decorative art that inspired his integration of Constructivist and Art Deco strategies with Abstract Expressionist principles. A limited edition 64 page full color catalog, issued in softcover, hardcover, and also available as a free PDF download. drawn in pencil, erased, redrawn, and painted over in successive layers of oils. Printed on Lasal Photo Matte 235 acid free paper in archival pigment Epson inks. Cover printed on Breathing Color Chromata White canvas, finished with automotive lacquer. Available in Limited and Deluxe editions. Click the picture for more information. Publication Arts at The University of the Arts in Philadelphia. Click for more information and ordering. for graphic designers, art historians, and students of material culture. The Limited Edition of the first volume. 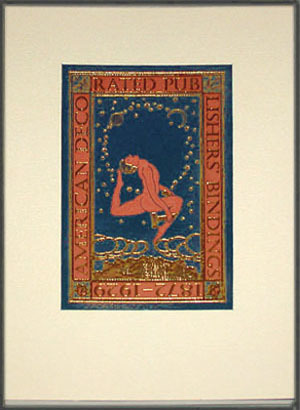 Foil stamped Hahnemuhle Bugra-Butten paper wrapper, based on an anonymous cover from the 1890s. The cover panel of the Limited Edition of Volume 2 is a pigment inkjet print on canvas, overstamped in 22K gold based on a 1914 cover by Rockwell Kent. The cover of Volume 3, produced by the process used for volume 2, is based on an 1899 cover by Thomas Watson Ball. Fully illustrated catalogs of the exhibitions that were in the gallery in 2005-2010, with commentary by Richard Minsky on the books in the collection. You can order the Deluxe Edition, Limited Edition or CD-ROM version. The Gold Archive CD-ROM of each volume has a searchable PDF with high resolution images, the bibliographic data file, and other resources. It is included with the limited and deluxe paper editions, and is available separately. Together, the three volumes include 1,100 cover designs with 141 identified artists. The text illuminates the evolution of book covers in the modern era, when artists brought new visual paradigms into the American home. In the context of their time, some of these covers were revolutionary harbingers of art movements that occurred decades after the covers were produced. Prices begin at $90.00 for the CD-ROM edition of each volume. Click either image above for details, samples, and the order form for that edition. This motto is the correct version of the phrase commonly attributed to Benjamin Franklin. We are pleased to offer it in an edition limited to 50 copies, each printed on a half-sheet of handmade paper from the J B Green Hayle Mill in England. The paper was made in 1976, just a few years before the mill closed. The half-sheet paper size is about 7?" x 20?" Each half-sheet of paper has two watermarks. They are not the same—there are four different watermarks on each full sheet of paper. If you are ordering two or more copies and would like to have them from different sides of the sheet, please indicate this on your order in the comments area. This edition was created by Minsky in 2005. $75.00 This item is usually shipped within one business day. Click "Add to Cart" for online ordering or click here for more details and other ordering options. 6" x 8?" x 3"
Lizard-grained cowhide, hologram foil stamped title. LCD monitor embedded in cover with miniature black and white video camera hidden behind leather with 1/8" hole for lens. When you hold the book you see yourself on the screen. Not truly an edition as each copy is slightly different. There are three different 1949 editions (U.S., U.K. and Canada). Some copies may also incorporate the films in VHS or CD format, including the 1954 BBC TV version, and the 1956 and 1984 film versions. It may be ordered with a wireless transmitter from the embedded camera and a receiver for a remote monitor. This is particularly useful for museum installations. A set of ten book art works by Richard Minsky, each of which represents one of the rights protected by the first ten amendments to the Constitution of the United States.. The set is available for purchase or rental for exhibition. Edition of 25 sets of the above ten bookworks. $120,000.00 includes domestic packing and insured shipping. Click here to order by check, transfer, or institution purchase order. Click to see an exhibition installation and read the details about each Work. Rental is available for exhibition at your institution. Click for details and exhibition rental application form. A novel length poem, written in the first person as the story of a Sheriff in Texas who is judge, jury and executioner. 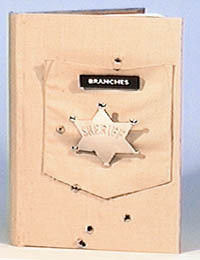 Each copy of the book has 9mm bullet holes shot through the cover by Minsky, a Sheriff badge, and the title affixed as a name badge. The photo on this page is of the prototype, completed by Minsky on April 27, 2000. Each copy of the book is slightly different. This special limited edition of the first edition of Branches includes color prints of the 16 illustrations, tipped in over the black and white reproductions in the book. The binding was commissioned by the publisher: The Permanent Press. 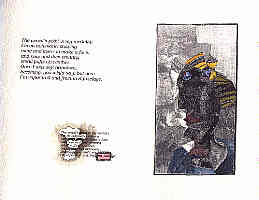 The edition consists of one hundred copies and five artists' proofs. Click on the picture for more photos and details. An additional 25 copies are bound in a deluxe boxed version as The Fifth Amendment of The Bill of Rights limited edition set. See above or click here for information. Not exactly a modern day Casanova, Minsky reveals the (mis)adventures of his love life. Is it fact or fiction? The stories he tells are his true recollections of events. Only the names have been changed. The text and commentary are highlighted by the author with historiated, illuminated and inhabited initial letters. As with the books of the 15th century, a new method of production is employed. Each copy is printed directly from the computer on an Epson Stylus 1000 inkjet printer, then hand colored and gilded. The edition de tête consists of 2 copies on Richard de Bas handmade paper, and 1 copy on paper made for this edition at the Dieu Donné Papermill, with the MINSKY watermark. 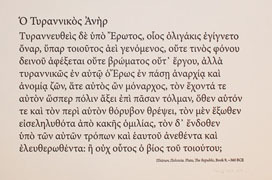 The colophon indicates an edition of 10, but after the third copy changes in software and hardware made it impossible to produce additional copies from the same files. A prototype binding with one chapter printed letterpress was exhibited at the Zabriskie Gallery in New York in 1988. It was also exhibited at Guild Hall Museum in East Hampton, NY from November, 1989 through January, 1990, along with the first two completed ink-jet printed chapters. These and a third chapter were included in the exhibit "Richard Minsky: A 25-Year Retrospective" at HarperCollins Gallery in 1992. The book was completed in 1996. Since the book is no longer available, and only three finished copies exist, it has been scanned and put online for those who wish to read it. It is a graphic memoir containing explicit language intended for mature readers. Click here to read this book. Each copy is unique in coloring detail, and the text, typography and images may vary as well. There was no "final" version of a chapter, as it could evolve with each new printing. 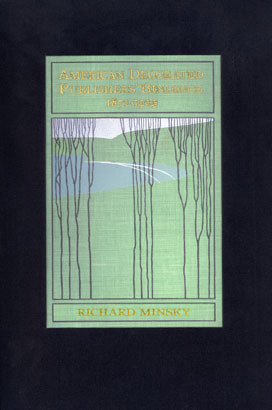 The subscribers had the option of commissioning a Minsky binding designed for this edition. Copy No. 1: Collection of The Victoria & Albert Museum, London, England, ordered with a binding in Minsky's bedsheets. To view this copy, please contact the National Art Library at the V&A. You can now look at photos of this binding. Copy No. 2: Collection of The Ruth and Marvin Sackner Archive of Concrete and Visual Poetry, Miami Beach, FL, in a binding of purple calf with eight Vermeil copulating couples, brass chain and handcuffs, in a box made from Minsky's bedsheets. You can look at photos of this binding. Copy No. 3: Collection of Valentina & Gary Milman. Fourteen chapters, 14.5" x 9.5", 72 pp incl. title pages, 55 pp of text (incl. introduction and colophon), and 13 blanks. 16 large(11-19 line) historiated and illuminated initials, 3 small (5-7 line) historiated and illuminated initials, 51 decorated initials (3-13 line). Purple calf binding similar to the prototype exhibited at Guild Hall Museum, with eight brass copulating couples sculpted by Minsky as bosses, with brass chain and chrome plated handcuffs. This book contains 26 hand colored computer realized images printed ink jet on handmade paper specially produced at the Dieu Donné Papermill in New York City with the MINSKY watermark. The pictures are adapted from 16th through 19th century engravings of animals, which are scanned and variously altered. Each image faces a fragment of text, suggesting a story which the reader's imagination must create. 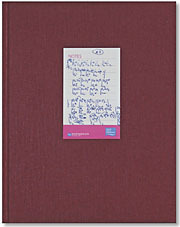 The edition consists of 20 copies bound in cloth numbered 1-20, and 5 deluxe copies in leather numbered I-V. The deluxe copies come with five additional signed copies of prints hand colored by the artist. 1993. Edited by Pamela Moore. With 90 photographs by Richard Minsky. The story of Minsky's experience as a US/UK Bicentennial Fellow (1978-79), in his words, those of the editor, and observations by 15 people he encountered. A no-holds-barred account, including the story of Tom Phillips' Dante's Inferno giant fire disaster (with photos), and meetings with the British from the Heralds at the Garter Service to artists, punk rockers and bookbinders. Letterpress from Monotype and handset type, with dry mounted photographic prints and 45 rpm record. 64 pages 11" x 14" on Mohawk Superfine. Foil stamped leather spine, printed cloth on boards. Cover and title page design by Pat Gorman, cover caricature of Minsky by Gerald Mynott. Edition of 25 and 5 Artist Proofs. 1980. Click here to order by check, transfer, or institution purchase order. Each picture is printed from a scanned pencil drawing by Bill Anthony, treated by the artist with computer imaging techniques. The print is made with a high resolution ink-jet on handmade paper developed for this process at the Dieu Donné Papermill, with the MINSKY watermark. Colored pencil is applied by hand to each image, following the artist's prototype. 27 signed and numbered copies bound in cloth, and seven Deluxe copies numbered I - VII bound in leather. The Deluxe copies include one original pencil drawing. 1992. If you wish to purchase, click here. This book is based on Tom Phillips' 1988 collage work "The Classof 47", which was exhibited in London at the National Portrait Gallery (see catalog "Tom Phillips -- The Portrait Works," NPG 1989, pp. 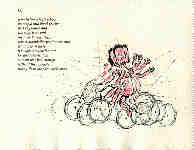 14-15).Tom Phillips sent copies of the 31 images to American poet Heather McHugh, who wrote poems about them. Tom then took these poems and transformed them by painting out some of the words. His new text sometimes reaffirms and other times contradicts the poet's interpretation of the pictures. 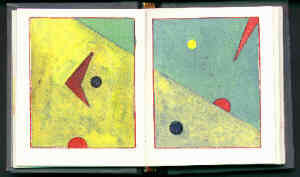 Each page of handmade paper contains the image, expanded and revised both by hand and computer, and hand painted in watercolor following the artist's prototype. The poem is set in 14 pt. Bookman Light Italic,and the manipulated text appears as a footnote, also hand colored. 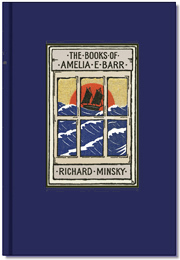 This edition is published jointly by The Talfourd Press in London and Richard Minsky in New York, and is limited to an edition de tête bound in leather of 10 copies numbered I-X and 47 copies bound in cloth numbered 1-47. 1990. Edition de tête in leather, with a small print hand colored by Tom Phillips inlaid in the cover, and three additional prototype prints hand colored by Tom Phillips, containing his notations to the colorist: $9,300.00. In 1985 Rose Slivka and Elaine de Kooning visited the caves in Altamira, Spain. Both were influenced by the experience of imagery which had been preserved for millenia. Slivka is best known for her writing about art. For 25 years she edited Craft Horizons magazine, and was the Founder of Craft International. In November, 1989 Art in America published her article about Elaine de Kooning's Cave Series. The text of the present book is poem, a personal reflection on the metaphor of the caves. The laser prints were made by Minsky directly from watercolors provided for this project by the Estate of Elaine de Kooning. 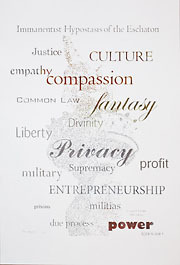 The prints are on Lana Royal Wove paper, with text on gray Rives BFK. This edition of Dreaming the Caves consists of 50 copies in various bindings. The regular edition binding is in buckram with the title stamped in gold. There are 13 pages of text, 15" x 17 1/2 " and four prints, approximately 10" x 12 1/2 ". 1991. 72 linoleum block color field prints based on Jackson's book of poems and pastels, with 12 pages of words printed offset from handset Goudy type.Includes score for performance (words by Jackson, music by Minsky) and LP recording. Edition of 50 books, 100 records. 1973. Cover design by Pat Gorman. Issued in Paperback and 1/4 leather. 32 Laser Prints of designs for book covers (16 books front and back). Leather spine, lacquered laser print boards. Edition of 50 signed and numbered. 1991 Broadside, 16" x 24". Handcolored ink-jet print on Dieu Donné handmade paper with the MINSKY watermark. 1991 Broadside, 16" x 24". Black & White inkjet on DieuDonne handmade paper with the MINSKY watermark. All items must be prepaid. Institutions may inquire about using purchase orders. Packing and shipping will be charged at cost. 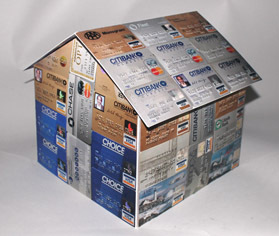 Domestic orders may be sent USPS Priority Mail, Certified or Registered Mail, insured. Foreign orders are sent airmail. Express, DHL, etc. on request. Telephone or order form reservations accepted pending timely receipt of your payment..
New York residents must include applicable sales tax. Dealers must include properly completed resale certificate form ST-120. Exempt Organizations must provide form ST-119.1. The prices listed above are subject to change, but not after an order is placed. You are welcome to visit by appointment. Copyright © 2018 Richard Minsky. All rights reserved.